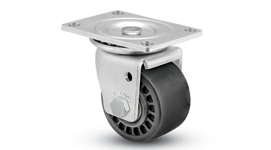 The Regent is our industry-leading light-duty single-wheel caster offering, and is heat-treated to increase mobility life. 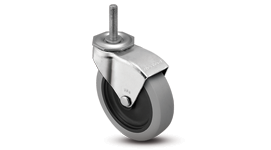 The Monarch features an extended hood that reduces pinch points and helps to prevent material engagement. 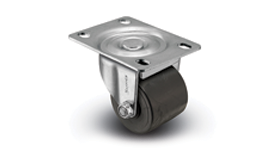 Institutional Casters feature increased debris prevention and have weight ratings ranging from 150 to 325 pounds. 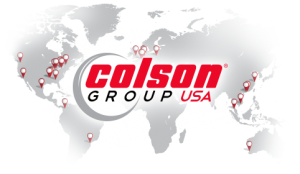 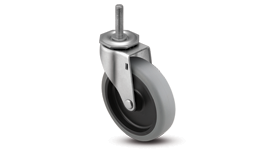 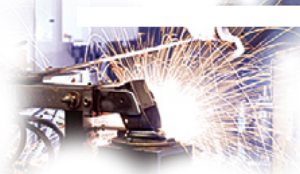 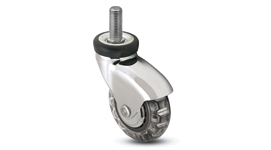 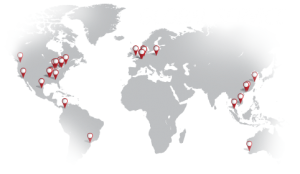 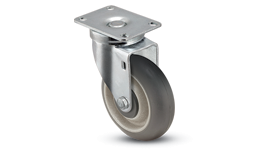 As an economical mobility solution, our General Duty casters come in rigid or swivel variation with four tread types. 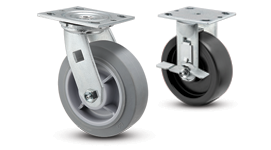 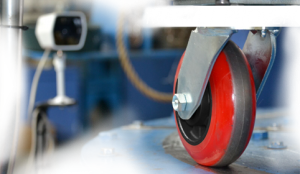 The E-line offers a budget-friendly, highly customizable lineup of 2″ wide casters and wheels. 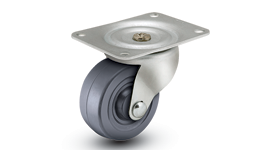 Available in a high-luster chrome or black finish, Omega casters have precision ball bearings for a smooth, quiet ride. 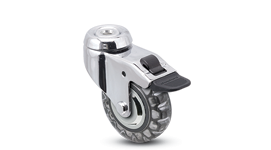 The RS/RT caster features a total lock brake option that locks both wheel and swivel action simultaneously. 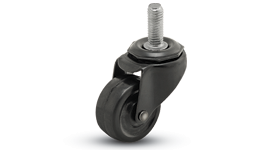 The small but mighty Mighty-Mite features heat-treated and high-strength steel for increased durability and caster life.